Our planet is a big and beautiful place to be. Filled with breathtaking scenery and natural formations, it provides us with an unforgettable experience. 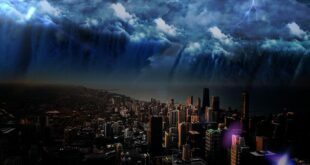 Recently however, mankind has been causing chaos within our planet. Some of the most valued tourist attractions have either been destroyed or vandalized by us. 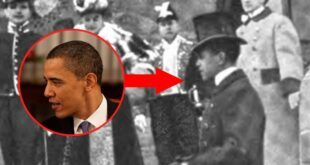 There are many attractions of yesteryear that can now only be appreciated in the pages of a history books. Whether it’s intentional or unintentional, we definitely have a way of causing destruction. Here, we are listing 10 popular tourist attractions that are lost to history because of mankind’s negligence. 1. The Tree of Ténéré was the world’s most isolated tree in the Niger desert. In 1973, a Libyan truck driver who was driving under the influence, managed to collide with the only tree for 250 miles around; destroying it. Mother nature has several masterpieces that leave us in awe. The tree of Ténéré in the Niger desert was one such masterpiece. On one of the bleakest places on Earth, trees are a much rarer commodity; especially when there’s only one in a radius of 250 miles in any direction. 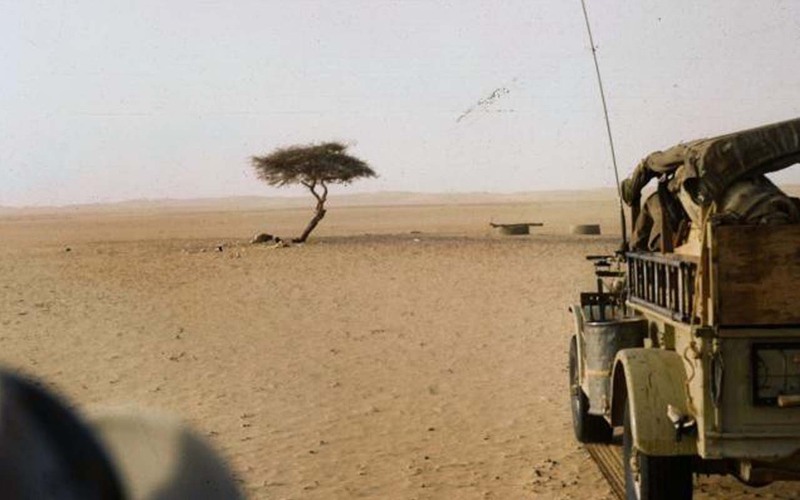 During the 20th century, one of the most important landmarks of central Niger was the Tree of Ténéré, an acacia tree growing near a well in the middle of the desert. As the region’s climate grew hotter and drier, only one tree managed to survive. 2. 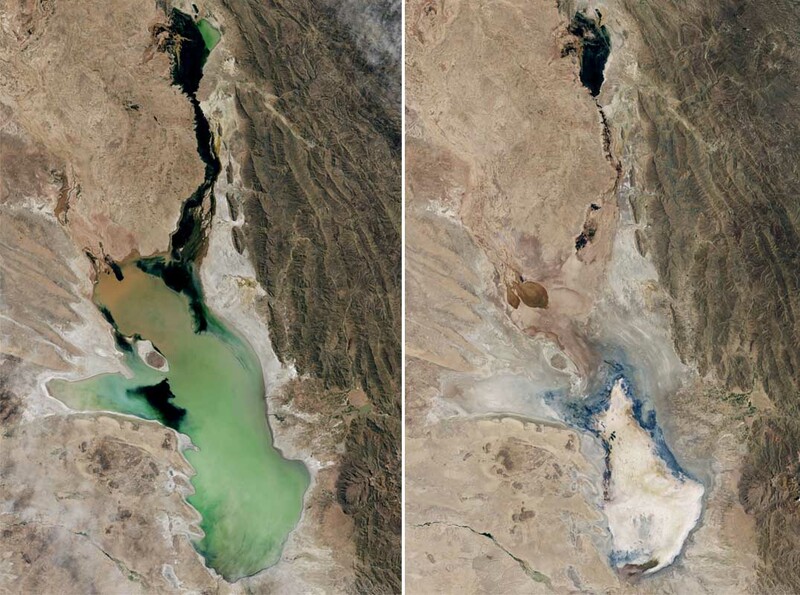 In 2016, Lake Poopó, Bolivia’s second largest lake, dried out completely. Rapid warming of the planet, nearby development of agriculture and mining are all to blame. 3. 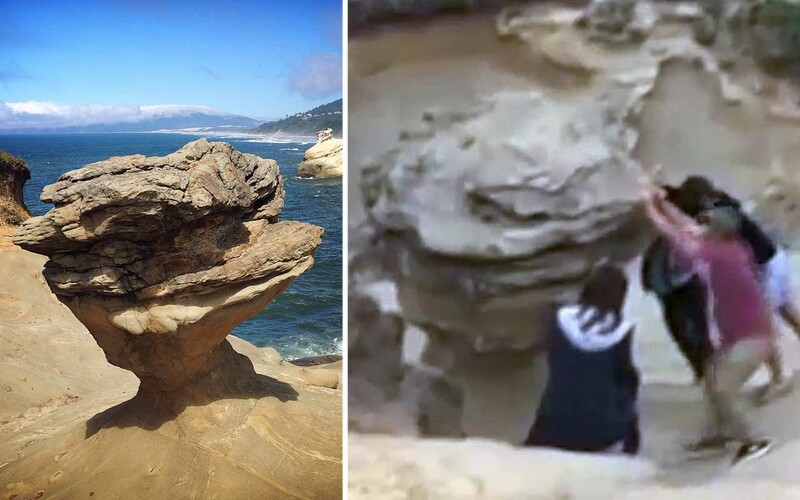 The ‘Duckbill’ Rock in Oregon, an iconic rock formation, was destroyed by a group of vandals. A man named David Kalas has video proof that it was, indeed, human idiocy that destroyed the landmark. The sandstone pedestal at Cape Kiwanda was a popular tourist attraction for decades. The iconic rock formation on the Oregon coast known as Duckbill Rock or Thor’s Fist, was loved by so many, that couples had their pre-wedding photographs taken at the rock. When it started getting more attention and visitors, the Oregon State Parks decided to erect barriers in order to prevent anyone from accidentally destroying it. However, in August of 2016, the barriers were not strong enough to stop a group of teenagers, who toppled it for fun. 4. The Pont des Arts in Paris was a famous bridge, known as a hotspot for couples to lock their love forever. The trend was so popular that the bridge weighed more than 45 tons and was threatening some of the city’s most historic monuments. 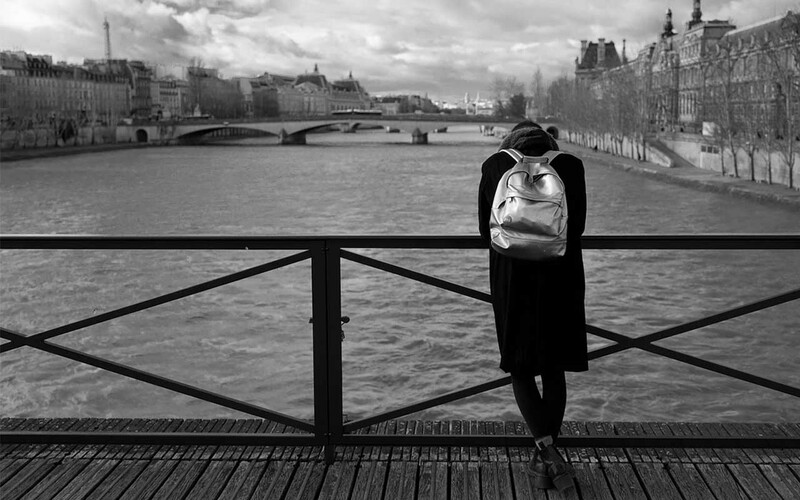 The railings of the Pont des Arts bridge was once filled with locks that locked thousands of love stories for an eternity. 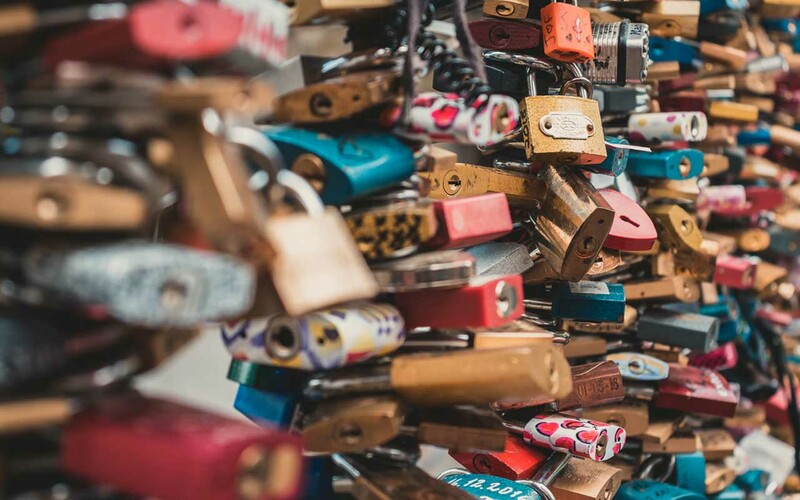 Since 2008, couples began declaring their undying love by writing their initials or names on a padlock, attaching it to the monument and throwing the keys into the River Seine. 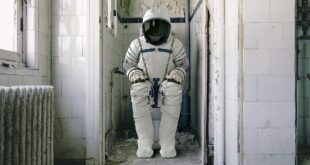 It seemed relatively harmless at first, but the trend spread like wildfire. Since then, the locks have grown like metal barnacles over bridge railings with some even found on the Eiffel Tower. 5. 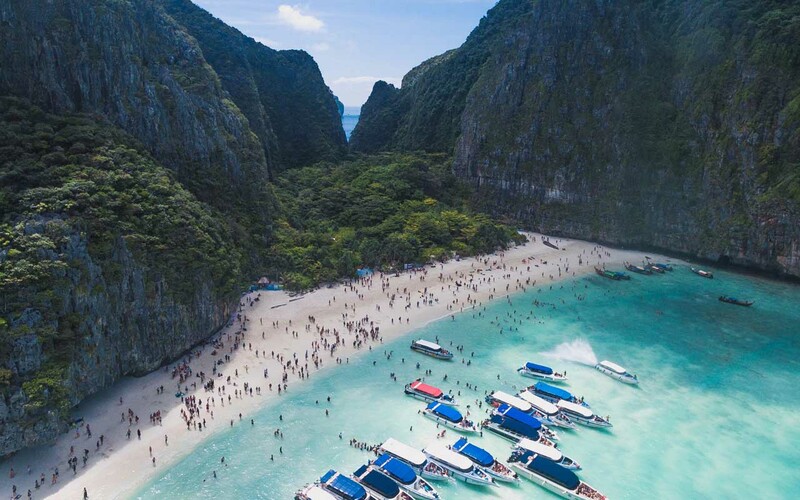 The Maya Bay, in Phi Phi Islands, Thailand, was a famous tourist destination. With thousands flocking in from all over the world, the ecosystem and the beach’s physical structure was damaged. Today, the beach is closed indefinitely. 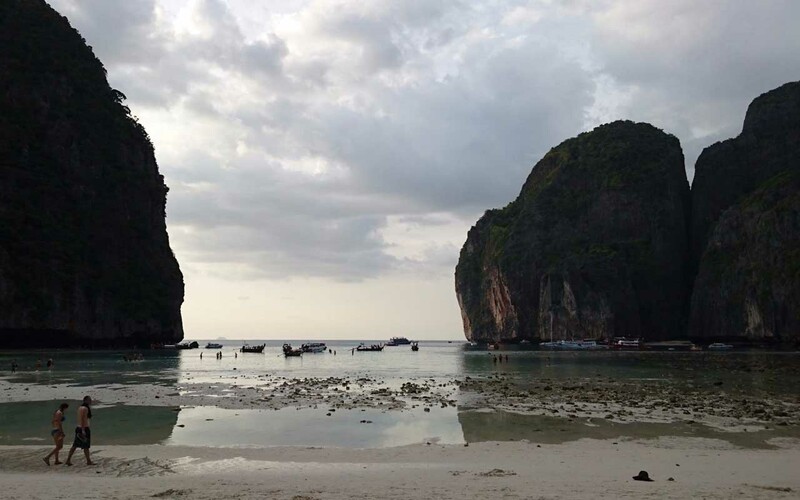 Made famous by “The Beach,” a 2000 film starring Leonardo DiCaprio, Maya Bay was a popular tourist destination. In 2018 alone, the beach had more than 2.5 million visitors who came to enjoy the blue, calm waters. However, in late 2018, the island’s famous beaches and clear blue waters had been transformed into a “cesspool” due to sustained environmental damage. 6. 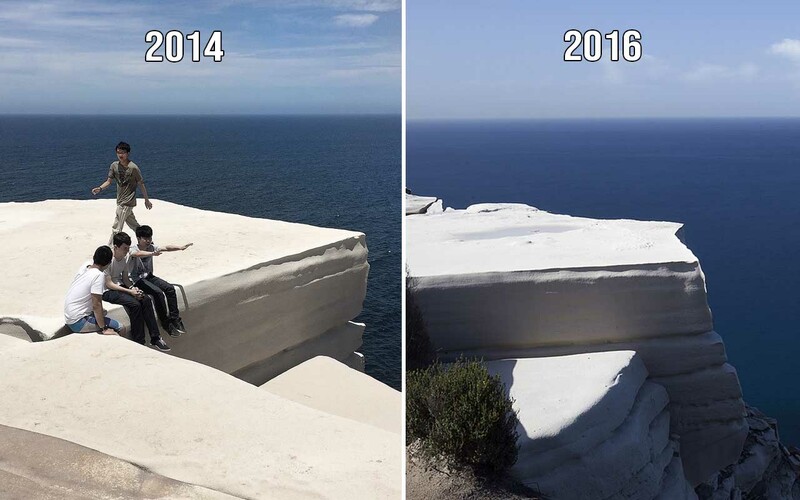 Wedding Cake Rock in Australia, a natural rock formation that resembles a wedding cake, started crumbling after people tried taking selfies at the edge. It is expected to completely dissipate within the next 10 years. The Wedding Cake Rock is a white, cake-shaped cliff in New South Wales’ Royal National Park. For years, it has been a popular destination for selfies and photos, with thousands of visitors a year. However, the constant pressure due to immense human activity has caused the sandstone ledge to become “very fragile”. 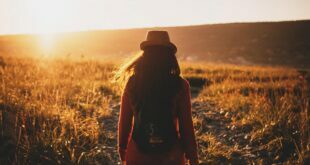 A 2015 geotechnical survey found that it could “collapse at any time”, according to the National Parks and Wildlife Service (NPWS). 7. 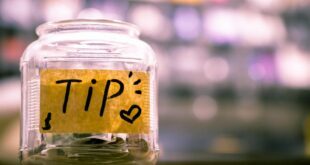 A Reef on the Raja Ampat Islands in Indonesia, that was listed on the world’s most beautiful reefs, was severely damaged by a British cruise ship. 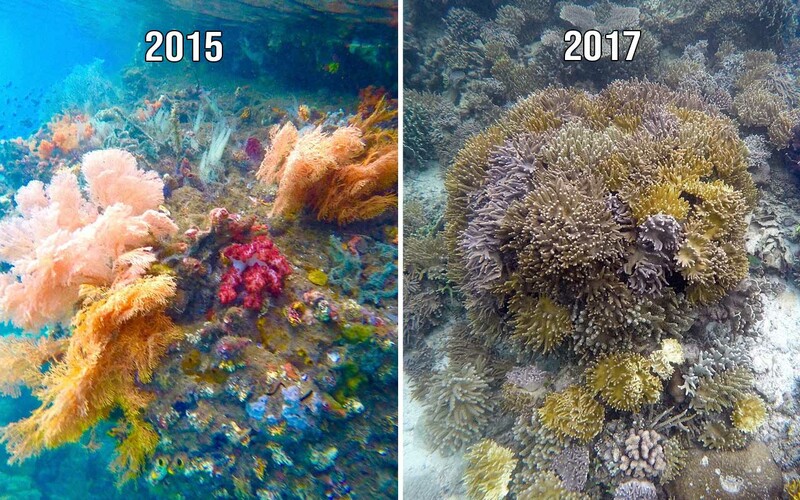 In 2017, a small cruise ship did irreparable damage to an Indonesian coral reef that was listed on the world’s most beautiful reefs. The Caledonian Sky destroyed nearly 140,000 square feet of the underwater reef, CNN reported. Noble Caledonia, the company that owns the ship, apologized, but only said that the ship ran aground and caused the reef to be damaged. The British-owned company described the incident as “unfortunate” and said it was “cooperating fully with the relevant authorities”. 8. 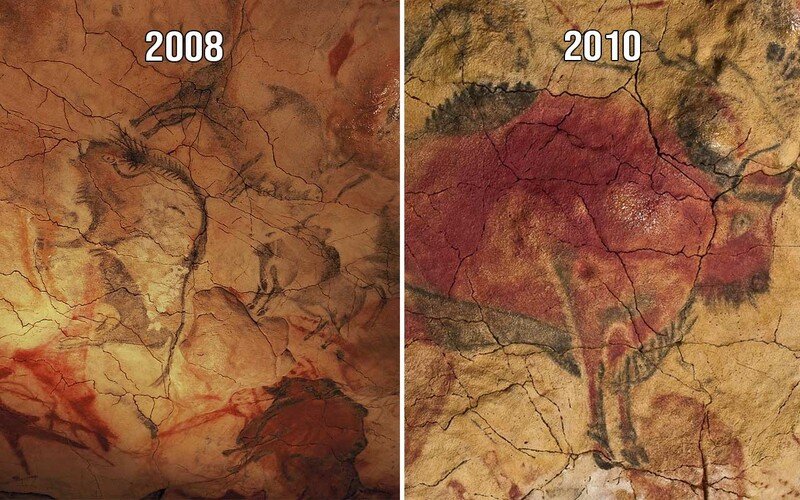 The Cave of Altamira in Spain contains some of the world’s finest examples of Paleolithic art. After its discovery, thousands of people flocked in to witness the paintings. Algae-like mold had started to appear on some paintings. It was closed to prevent further damage. 9. The Goblin’s of Utah are ancient rock formations. 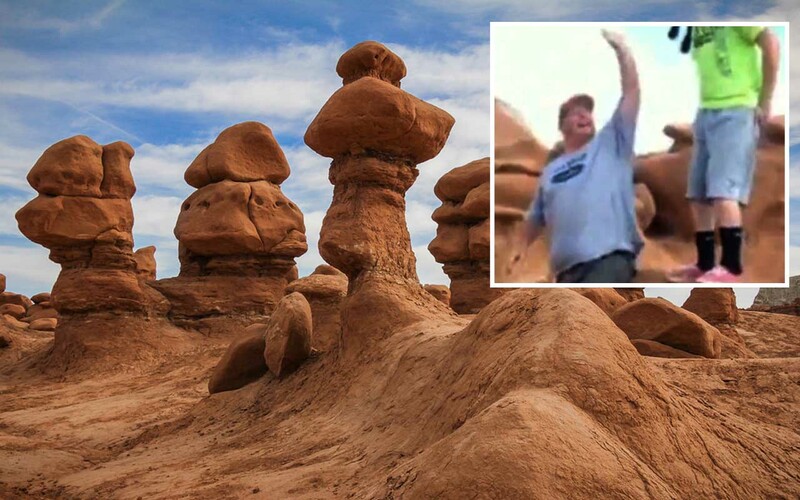 In 2014, two men who were Boy Scout leaders, toppled some of the rock formations and gave each other a high-five for destroying them. The stone formation they destroyed was nearly 200 million years old and has survived through storms, earthquakes and more. However, the ancient rock formations weren’t able to handle the idiotic power of mankind. Glenn Taylor, 45, and David Hall, 42, were walking through the valley, when they came across the Goblins. They then proceeded to knock them over, destroying them, giving each other high-fives and cheering. The men were also intelligent enough to record the entire incident and upload it to Facebook. 10. The Boeung Kak Lake in Cambodia was once a popular tourist attraction and home to thousands of Cambodians. Today, it’s a mere puddle. The Boeung Kak Lake in Phnom Penh, Cambodia’s capital, was once a popular tourist attraction. 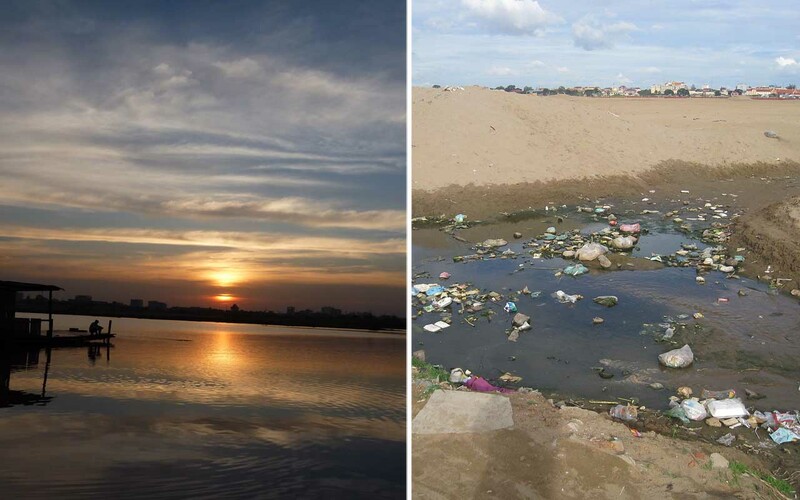 Since 2007, sand-pumping has gradually displaced most of the water from Boeung Kak. A company called Shukaku is owned by a senator from the governing Cambodian People’s Party. Although not listed as an entity or listed in the local Yellow Pages, the senator has strong ties with higher officials. His wife runs Pheapimex, another company that controls vast areas of land through government-granted concessions.